This post is going to be a hybrid of product review and Mother’s Day gift recommendation. 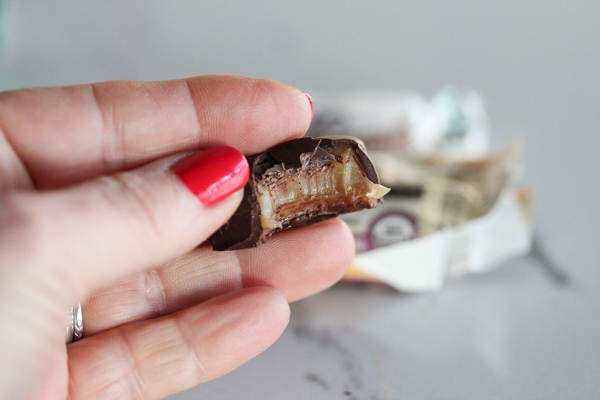 I tasted these caramels in 2014 when they were named as a Finalist of the prestigious SOFI awards and I fell in love – and the product line has only gotten better. With the addition of new flavors like Sea Salt and Espresso and the new Chocolate Covered Cocomels, it was time to do a proper review. 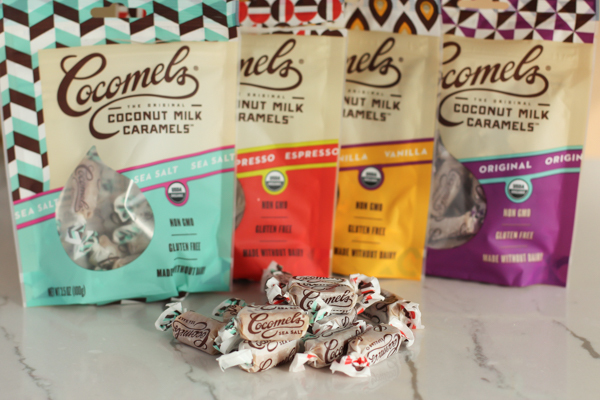 Any of these would be perfect as a gift for Mother’s Day for the Mom who loves caramel, coconut milk or is interested in trying something new. And then there are those who just have a sweet tooth but like a non-dairy treat. Perfect fit. We were sent several items for review: Original Cocomels, Espresso Cocomels, Sea Salt Cocomels (all of these preceding ones are now referred to as “naked” caramels by the company) as well as Dark Chocolate Covered Espresso Cocomels, Dark Chocolate Covered Sea Salt Cocomels and Dark Chocolate Covered Vanilla Cocomels. 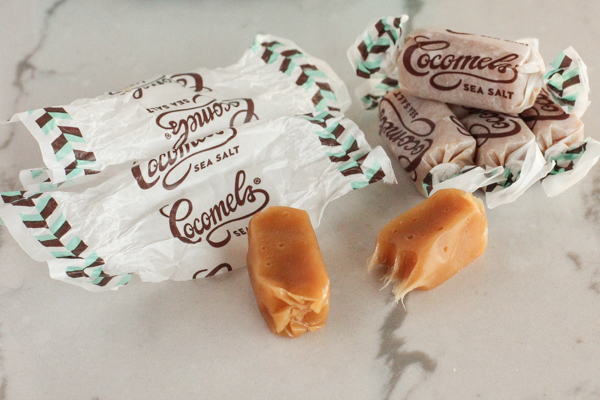 Product Description: The Cocomel line is based around coconut milk caramels. 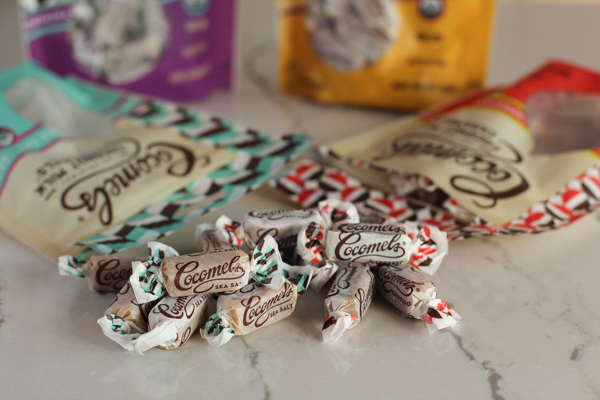 The Original Cocomels and the flavored versions (Sea Salt, Espresso, Vanilla) are all packaged in a resealable 3.5 ounce pouch containing 15 individual candies with attractive retro look wrappers. 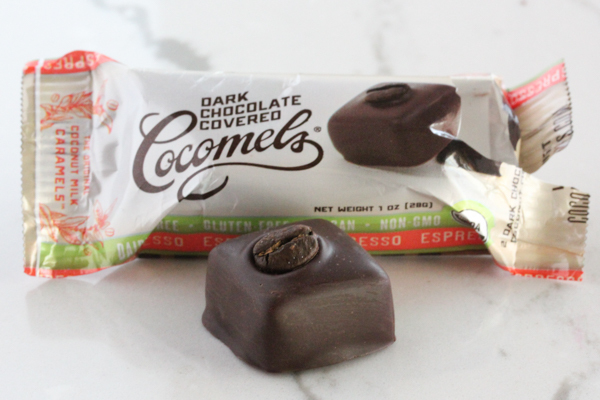 The Cocomel candies are made without dairy, gluten and soy and are non-GMO. The chocolate covered candies (2 per 1 ounce package) have a similar ingredient profile with the addition of dark chocolate that does contain soy lecithin. They are made in Boulder, CO by JJ’s Sweets. 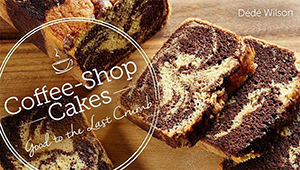 Test Kitchen Overview: We love the creamy, slightly sticky texture of these caramel products. Sticky enough to provide that satisfying chew but not over the top where we fear for our teeth and fillings. The addition of the Espresso and Sea Salt flavors is inspired. The chocolate covered ones are fabulous. The slightly bitter dark chocolate works perfectly with the caramel. None of the products are overly sweet, which we like. For those avoiding dairy who want a true caramel experience, it doesn’t get better than this. We were also sent a baking block of coconut milk caramel that we will use in recipe testing in the future. Pros: The recommended serving size of the individual candies is a hefty 6 pieces and has only 120 calories! We love that we can have a true caramel experience without dairy – and we like the natural sweeteners used. Cons: Not stocked in stores in certain areas, so order early for Mother’s Day. The packaging isn’t ultra fancy for gift giving (tuck in a gift basket). Suggested Use: Gift or snack. 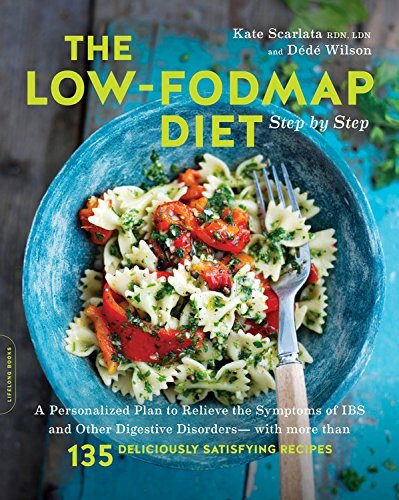 Where to Buy: 1200 stores around the country including Whole Foods and Krogers. Direct from cocomels.com or check cocomel.com for a store locator. Price at Time of Review: $4.99 for a 3.5 ounce pouch; $24.99 for one pound bag; $45 for 30 ounce tub for the Cocomel Caramels. The Chocolate Covered versions come in a 1 ounce/2 pack unit for $1.99 or a 15 ounce/2 pack display case for $24.99.